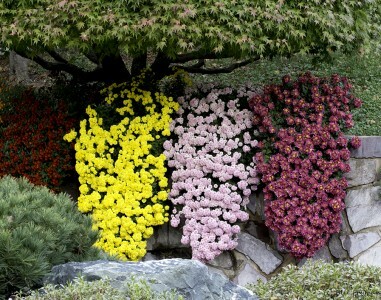 It was only a few weeks ago that these colorful mums draped the stone walls of the Japanese Garden at the Missouri Botanical Garden. Now with the temperatures much lower, most of the things at the Garden have gone into their winter browns with only a few bits of color here and there. But only a few more months until another year of brightly colored foliage and blooms come back for another visit.